Was the BBC biased over Brexit? I am a constant critic of the BBC* but I find myself as a genuinely puzzled defender of their EU referendum coverage. The accusation from Remain supporters** is that the BBC should have abandoned its statutory requirement for balance/impartiality and said clearly that the Leave campaigns was a pack of lies and that sensible people should vote Remain. There are a number of objections to this. Firstly, Leavers like Douglas Carswell are pretty good at showing in detail [go look at his Twitter feed] how on many occasions the BBC was perfectly capable of making assumptions that implied that this issue was merely a question of managerial economics and that Leavers are essentially barking and bigoted. In the framing of questions or discussions I rarely felt that the BBC’s staff were taking a Leave point of view. When they did it had that earnest feel of someone trying to speak in a foreign language. That’s because the BBC is packed full of people like me. Remainers. Secondly, the BBC did do its job of showing the fundamental pro-Remain argument. As the Guardian’s Raphael Behr has pointed out in his excellent narrative of the campaign, that top-down, Establishment message dominated the early phase. Sadly for Remain, the Leave campaign were adept at changing the narrative to something the public could understand and that they cared about. As Behr’s pro-Remain piece admits, their argument was hopelessly elitist and un-engaging. Thirdly. The BBC has a requirement for balance. I am not sure you would really like it if the BBC started to take an overt line on big issues and then pursued them with the ferocity of the newspapers. The BBC is a safe haven of boring, middle of the road, fact-orientated journalism. A stage for national debate. If politicians are dumb enough to put a major constitutional issue on a binary ballot paper then it behoves the BBC to give equal air-time to both sides. What else could it do? Bleep out any reference to ‘£350 million a week returned to the NHS’? This is quite a practical problem. BBC presenters and their website challenged dubious assertions like that but this is how public service broadcasting works. If you want partiality then go and buy the Guardian or the FT. And regular readers will know that I defend their right to be wholly biased to the point of distortion. But not the BBC. As I have said elsewhere, blame the politicians (and even the public) rather than the journalists. But that’s a bit complacent of me. I agree with the BBC’s Justin Webb that we do need a proper debate about this, but I have yet to hear anyone come up with something apart from special pleading. One thing that we Remainers have to accept is that we lost the debate. As I warned before the campaign, the worst thing would be if the pro-EU camp took a patronising, top-down approach that assumed the status quo was a valid case. That’s what happened and reality intruded. Many of the claims made by the Remain camp – ‘Project Fear’ – were overblown (though the post Brexit reality is tough). I suspect that blaming the BBC is just good therapy for people who are bored of attacking Murdoch (especially because ‘his’ Times advocated Remain) but if someone can make a real case why this challenges the BBC’s dull but worthy and important duty to be ‘balanced’ or ‘impartial’ then please let me know. I understand the case that there is no such thing as pure objectivity. I know all about NYU professor Jay Rosen’s point about ‘news from nowhere’: that just saying ‘on the one hand, one the other’ is not good enough. Well, I think the BBC did try to get beyond that. But this was a genuine debate and they had an obligation to take the ‘other side’ seriously. The fact that Leave won does suggest that people believe in what they said. The British establishment is overwhelmingly pro-EU and the BBC is an integral part of that. The tone of its coverage since the out vote has an undercurrent of patrician disapproval. Much editorial energy has been expended trying to explain why the plebs didn’t do as they were told. This viewpoint reflects the yawning gulf between the chattering classes – who benefit in one form or another from freedom of movement – and the rest of the population who experience its malign social impacts first hand. Plus there is no democratic mandate for the high levels of immigration that the UK is experiencing. That democratic deficit is the elephant in the EU room and goes a long way towards explaining the growing unpopularity of the project right across the continent. For my sins I’m tuned in to BBCNews a lot. Not quite 24/7 but nevertheless, a lot! I was particularly attentive during the EU referendum and its aftermath – tuning in to all the news and political coverage I could. As such I feel well-placed to comment on the BBC’s brexit coverage. If the BBC intended to present viewers with a balanced view of Brexit, they failed utterly. You say the majority of BBC staff are pro EU; this came through loud and clear. At times the anti brexit tone was so blatant I resorted to emailing my disgust. The reactions to the result were particularly telling. While I’ve observed reporting to be slightly more balanced in the last few weeks, (march 2017), pro EU bias remains discernible. 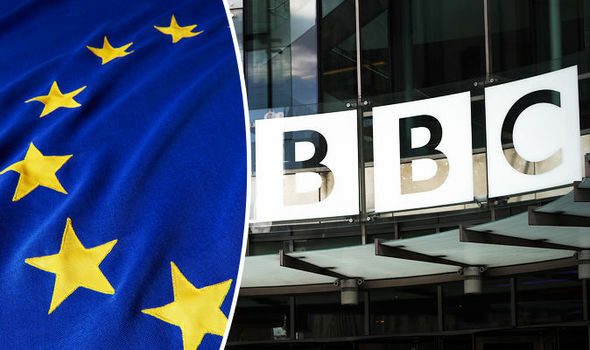 The BBC will doubtless fall back on its standard rejoinder to accusations of bias, ‘Well, we’ve received complaints from the other side too, so we must be doing something right!’ I don’t doubt the BBC has been accused of pro-brexit bias by some remainers – particularly since the result, and they may even be able to point to a particular show or news item as evidence. The fact is, however, any substantive trawl of brexit coverage will show beyond a shadow of a doubt that the BBC wanted the country to stay in the EU. Most alarming has been its apparent willingness to entertain the idea that pro-brexiteers are ignorant and racist. What is most worrying is that despite such clear evidence, the BBC continues to feign innocence. Sad times indeed. PS. I was interested to hear you think the EU is our best hope for addressing the problems of globalization. I reached the opposite conclusion! Never a truer word spoken. An admission of something that is stinkingly obvious to all. Any suggestion the BBC has been anything other than manically pro remain is a joke. Not just the BBC either pretty much all of the broadcast media are packed with people like you – Remainers..